Good morning fellow dog, cat and other animal owners. I had a busy working weekend, but I was able to squeeze in some of the last days of summer at the beach. I am also currently dog sitting a neighbors dog, and Lewis is in his glory with another dog to play with 24 hours a day. It’s quite enjoyable, and it is making me want to add another dog to my family- Likely this will happen soon when the right dog comes around. I had a number of emergency calls, and bite wounds and abscesses seemed to be the common theme. Many asked on the phone exactly what they could do at home. Well I suspect many of you should have these exact answers. A red and possibly swollen area appears on your pet. Sometimes puncture marks are visible. There may be bleeding if blood vessels are damaged. Lameness, if the puncture affects a leg. This is commonly seen in cats in cat fights. Abscesses are often found at the tail base of cats as they are running away and are bitten in the bum. KNOW WHEN TO SEE YOUR VETERINARIAN. 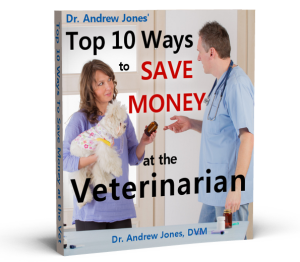 If your pet is very lethargic, not eating or drinking, then see your veterinarian immediately. Bacteria from abscesses can spread in the body, giving your pet septicemia (blood poisoning). If your pet has a large swelling that is not draining, then you must see your veterinarian to have it drained surgically. Abscesses that are open and draining and small bite wounds can be treated safely at home. BARBER TIME. Trim the hair around the bite or wound. Trim large sections with scissors, and carefully use a disposable razor to trim the hair next to the skin. KEEP IT CLEAN. If possible, put your pet in the sink or bathtub and run lukewarm tap water on the bite or abscess for 5 minutes. If your pet won’t tolerate running water, use a damp cloth or gauze sponge. Purchase an antiseptic soap, Hibitane, available at your local pharmacy, and wash the area well. Keep the wound clean and perform this water therapy twice daily for 5-7 days. P.S. I will be announcing a BIG event soon. My brother (and Webmaster) Michael has decided to make a BIG change in his life. BIG life changes are a cause of celebration, and I am going to celebrate with you, my loyal readers. I am also going to OFFER something I have yet to offer- Online Coaching and Support for those of you who want more guidance. Stay tuned for this BIG ANNOUNCEMENT… I’ll even REVEAL what the BIG CHANGE is. P.P.S. For those of you looking to deal with dog and cat abscesses, I know of no better resource than my Complete Home Study Multimedia Course.